Many people are skipping the grocery store and buying frozen food online instead. A recent report shows that the number of Americans regularly purchasing frozen foods is rising. Businesses across the country are faced with the task of shipping frozen food. Knowing how to ship perishables properly can save your business time and money. Your food will remain fresh during its journey, keeping your customers satisfied. 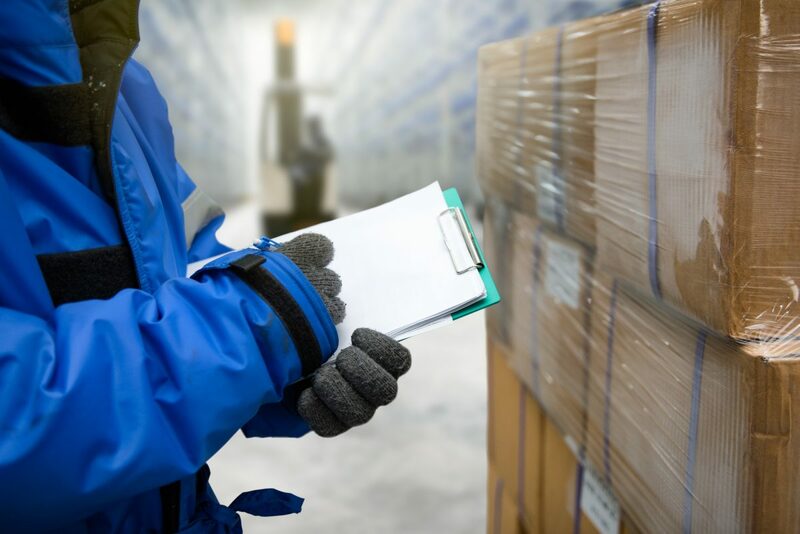 Using the right insulation and packing materials will ensure that your shipments will stay fresh. Insulation keeps the heat out, allowing your food to remain cold or frozen. Styrofoam is made of polystyrene foam, which deters heat. Styrofoam isn’t a very good conductor of heat because it’s mostly made of air. That’s what makes it a great insulator for frozen or cold products. You can order these boxes in various sizes and thicknesses. A thicker box will keep your food cool for longer. You won’t have to go through as many dry ice or gel packs with a thicker box, but it’ll be more expensive. Styrofoam cutsheets are cheaper than the entire Styrofoam box, but they aren’t as good at keeping your food fresh for long periods of time. You can also order these cutsheets in custom or standard sizes. Insulated liners are inserted right into your box and protect your shipment from spoiling. If you have extra space around your item, you can use bubble wrap or foam peanuts for additional protection. These liners are cheaper than other types of liners because they just use air. They usually come equipped with a hand pump or air tank depending on how large your shipments are. Only use packing tape when sending out your products. Make sure to cover all the edges of your box with tape in order to prevent the item from melting or spoiling. Dry Ice or Gel Packs? Your decision to use dry ice or gel packs depends on whether the item you’re shipping needs to be kept cold or frozen. You might be shipping out dairy products or fruit that need to be refrigerated, or you could be sending meat or fish that must be frozen. Dry ice and gel packs both have different qualities and shipping requirements that you should know before you start sending perishables to your customers. If you’re wondering how to ship frozen food, don’t worry–it’s easy. Just use dry ice. You can purchase dry ice at your local grocery store or butcher for only $1 to $3. Dry ice comes in snow, pellet, and block form–all are effective in maintaining a freezing cold temperature. For larger shipments, you’ll need to use more dry ice than you would for smaller ones. Take note of the current season, the product’s weight, and the product’s destination when you’re trying to determine how much dry ice to use. In general, you should use about 5-10 pounds of dry ice for every 24 hours that will pass during the product’s shipment. You can multiply this amount of dry ice if you have bigger containers or a longer shipping time. Dry ice is a dangerous material that is made from frozen carbon dioxide, and it must be handled with care. Use gloves and goggles while handling it, and don’t let it come into direct contact with any of your food. You also have to leave extra space in the box so the dry ice can expand. When you use dry ice, always be sure to put a label on the outside of your package stating that there’s dry ice inside. For food that must be kept cold but not frozen, you should use gel packs. Refrigerated foods should be kept cool around 40 degrees Fahrenheit. Gel packs are made so that they can fit in tight places around your product’s container. Gel packs will keep your food cold for long shipping periods, but it’s still ideal to choose faster shipping options. Simply place your food in the center of your insulated shipping box, and insert gel packs on top or on the sides. Better yet, gel packs are safer to handle than dry ice and don’t require additional labels on the package. To figure out how many gel packs to use, test out different amounts and sizes of gel packs on your products before you ship them. You’ll be able to save more money if you use packs meant for one use only. Gel packs aren’t the only way to keep your refrigerated items cold. You can also try using foam bricks, solid plastics, or pliable packs. Foam bricks are usually used alongside a Styrofoam container. They’ll stay the same shape and can be frozen for multiple uses. Solid plastic packs are hard and inflexible. They’re also used with Styrofoam containers and can be used more than once. You should use pliable packs if you need to fit a freeze pack in a tight place. Pliable packs are always flexible and are great to place on the sides or top of an insulated container. If you don’t have access to refrigerated delivery, then you’ll want to make sure that your product can be shipped as fast as possible. Your package should be labeled with “Perishable” and “Keep Refrigerated.” It’s also recommended that you let your customer know when their product is arriving so they can immediately store it in their fridge or freezer. Knowing how to ship perishables can save you from an angry review from a customer who received spoiled or rotten food. With the frozen food market constantly expanding outside of grocery stores, more people will be tempted to order their meals online. If you’re in the Miami or Fort Lauderdale area, be smart about your shipping. Choose ASAP Courier to ensure that your goods get shipped in a timely and cost-effective manner. Visit our website to get a quote.